Anyone who ever sat in class and doodled little cartoons at the bottom of their notebook that came to life while flipping pages, will find something inspiring about the animation here. 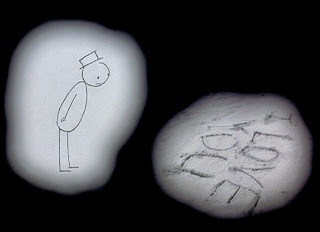 Hertzfeldt is an animator whose style is simple and yet unlike any other filmmaker. His cult classic Rejected shorts are hilarious and strange. His trademark animation is done in simple stick figures, and it's framed in such a way that it looks as though we're spying through a looking glass. The story follows Bill, a man with a strange condition after suffering a brain injury. Nothing comes easy for Bill. He struggles to hold onto his mind, his thoughts, and his life. We see his world, the way he sees it, with all the strange things go on around him that neither we nor Bill can make much sense of. Herzfeldt takes us through Bill's family history, nearly all of whom deal with their own mental degradation, diseases, and death. The way all life will inevitably grow old and pass away. Bill's condition, allows him time to wonder about the inner workings of his own mind, and what manner of life he's living. These thoughts stumble upon the occasional beautiful epiphany that are sure to leave us thinking. He thinks about everything from the mundane to the existential. He thinks about how his life is wasted spending time doing everyday things. His story makes us think about identity, family, illnesses, the meaning of life, and our place in the universe. It's broken up into 3 chapters of Bill's life as he tries to understand the world around him. As his understanding grows progressively peculiar, it opens the door for more, and more experimental visuals. Herzfeldt's characters always remain stick figures on a white background, but more and more live action footage, and in-camera special effects keep the visuals fresh and at times dazzling. 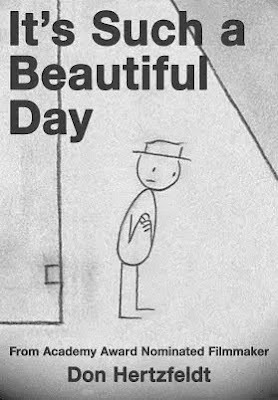 Hertzfeldt himself handled the narration duties. He tells the story in a soft, earnest tone, not monotone, but also never embellishing an emotional state. The narration is often humorous, always clever, yet poignant and oddly affecting. It explores deeper thoughts and emotions in increasingly inventive ways. It's a tale of life. Taking us through family life, pain, sickness, love, and what it means to live and die. He has a cult style familiar to anyone who's laughed at his strangely hilarious previous short films, but here he takes his subject matter far more seriously. 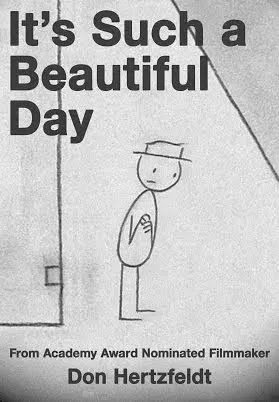 Hersfeldt is a daring, eccentric artist making a debut feature film that proves he can make beautiful art out of his simple hand drawn stick figures. There's nothing here that resembles a mainstream animated feature, and yet that's part of what makes this a beautiful piece of artwork.